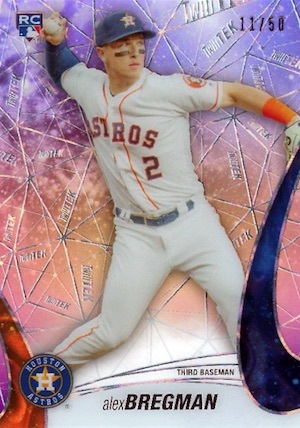 While an assortment of patterns still populate the set, 2017 Topps High Tek Baseball goes even bigger. 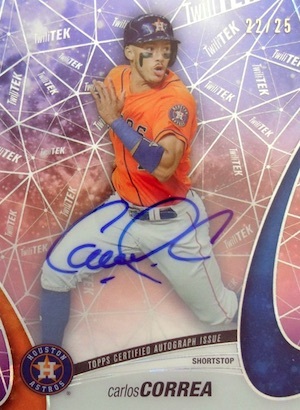 Whereas the 2016 release had one autograph and eight total cards per box, the 2017 Topps High Tek checklist greatly expands that to 40 total cards, including two on-card autographs. Promising even more patterns and variations, the base set is once again broken into different groups. Pattern 1 includes Blackout (4 per box), Tidal Defractor (#'d), Green Rainbow (#/99), Blue Rainbow (#/50), Orange Magma Diffractor (#/25), Red Orbit Diffractor (#/10), and Gold Galactic Diffractor (1/1) parallels. 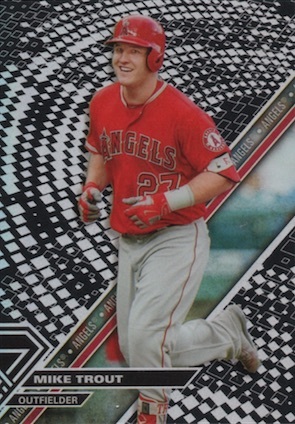 Averaging one per box are the Pattern 2 Blackout parallels. There are also many pattern variations to chase. Incorporating Magma Diffractor foil, the themed Image Variation cards are numbered to 50 copies. New inserts include Jubilation (#/50) for displays of excitement and TwiliTEK (#/50), which evokes the look of twilight. In addition, top first-year players are found in the Rookies (#/50) insert with Magma Diffractor foil. All inserts have a Gold Galactic Diffractor parallel (1/1). 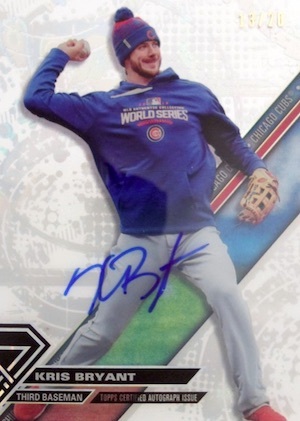 Dropping two signed cards per box, 2017 Topps High Tek Baseball features base Autographs with Green Rainbow (#'d), Blackout (#'d), Blue Rainbow (#/50), Orange Magma Diffractor (#/25), Red Orbit Diffractor (#/10), and Gold Galactic Diffractor (1/1) parallels. 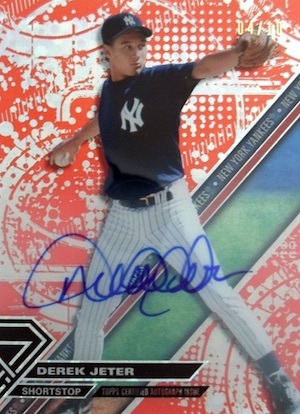 Each insert noted above also offers a hard-signed autograph set that is serial numbered. 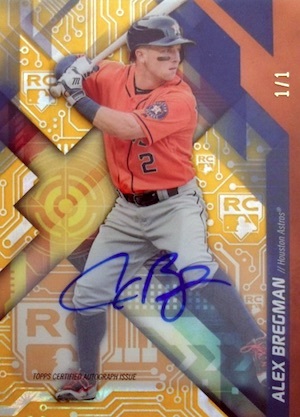 Reaching back into the High Tek history (1998-2000) are on-card Buyback Autograph issues that are limited to only ten copies. Detailed guide to the pattern variations. PATTERN 1 PARALLELS: Blackout (4 per box), Tidal Diffractor #/250, Green Rainbow #/99, Blue Rainbow #/75, Orange Magma Diffractor #/25, Red Orbit Diffractor #/10, Gold Galactic Diffractor 1/1. PATTERN 2 PARALLELS: Blackout (1 per box). Work in progress. Let us know if you spot any more. 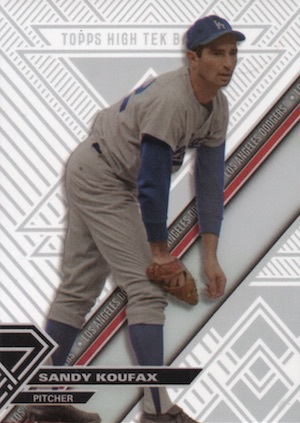 Serial numbered #/50. PARALLEL CARDS: Gold Galactic Diffractor 1/1. 79 cards. Shop on eBay. PARALLEL CARDS: Green Rainbow #/75, Blackout #/50, Blue Rainbow #/50, Orange Magma Diffractor #/25, Red Orbit Diffractor #/10, Gold Galactic Diffractor 1/1. 16 cards. Serial numbered #/50. 15 cards. 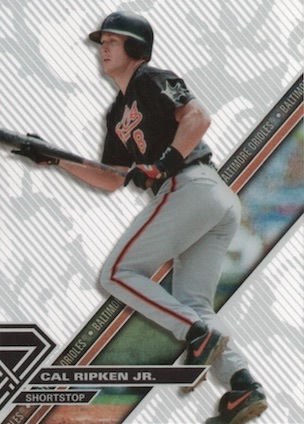 Serial numbered #/50. 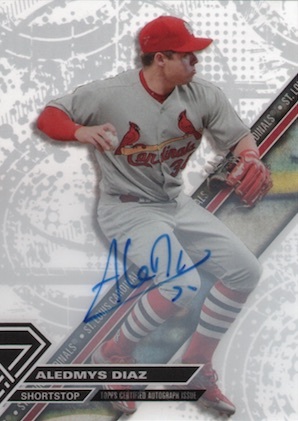 Good: Captivating look to the cards; hard-signed autographs; unique inserts; appears that redemption autographs are a bonus hit. 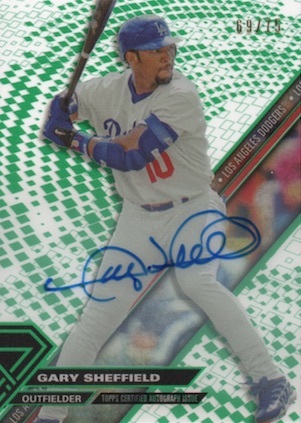 Bad: More clarity on patterns is still needed; subject duplication per box can be an issue; all autographs should be numbered. 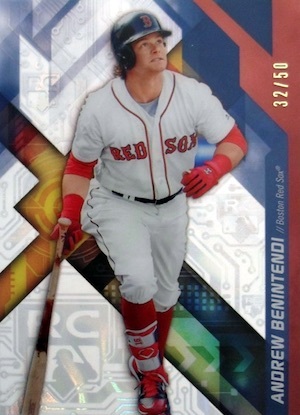 The Bottom Line: While the brand itself did not change much, the 2017 Topps High Tek Baseball format did, and the result is a very different experience. It can feel a bit like quantity over quality, but luckily High Tek has enough quality to absorb the evolution of the product. It's still a little pricey for what is contains, but the acetate designs look great and the patterns are interesting. I'm still not sure how I feel about the main design for 2017, but I do like the diagonal ribbon more than the rounded, robotic look of 2016. As with past sets, the patterns aren't really a selling point for me. I'm here for the acetate and on-card signatures. Of course, the dance continues with the patterns. 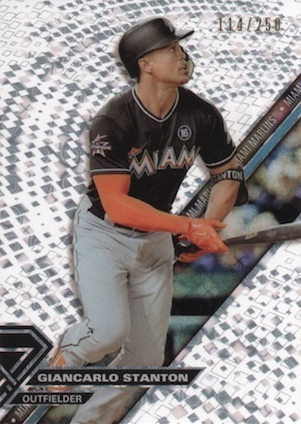 Topps can keep their games as far as which patterns are the rarest, and even which players fall into what group, but it doesn't seem to be too much to ask for pattern notations on the card backs, preferably a specific name. This way, collectors immediately know what they are looking at and also know exactly what they still need. Another plus for the design of the set is the inserts. 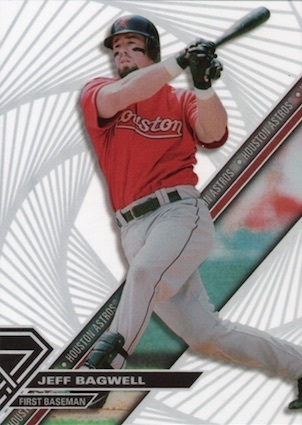 While many sets struggle with this concept, High Tek (at least for me) does a good job producing inserts that are distinct while still fitting the larger theme of the brand. The downside is that all the inserts are very rare, falling no more than 1:20 boxes per set, on average. This year's insert designs went a little more segmented than I would prefer, but they still work. I'm never quite sure how/why they end up with 112 subjects in the base set, but it largely does a solid job with mixing past and present. 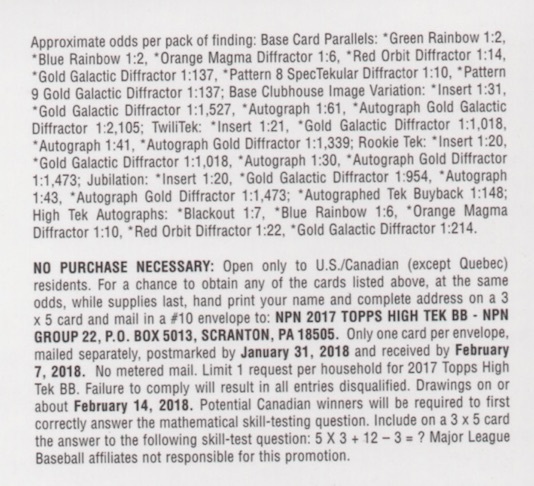 It does go a little heavy on the rookies but I imagine this is because they need to fill out the 2017 Topps High Tek Baseball autograph checklist. With two autographs per box and 79 total signers in the main autograph set, that's a lot of signatures floating around. While our review box actually had print runs on one of the autographs (a green parallel), given this format, I would expect full print runs. 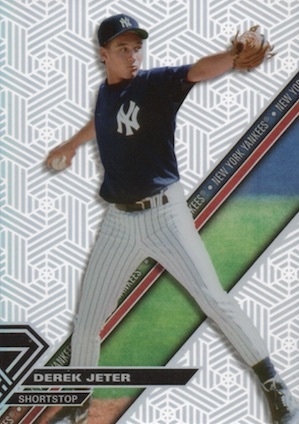 Like any Topps autograph checklist of this size, there are high highs (Jeter, Trout, Ichiro, Koufax, Judge) and low lows with the many less desirable rookie autographs. The other checklist element of note, I feel the variations are lost in the shuffle. Variations don't have to be in every set. 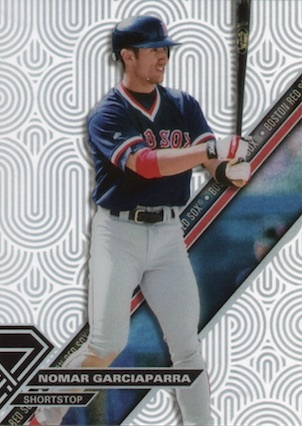 At least they are numbered to only 50 and have a different card number that the base. 2016 had eight cards (including one autograph) for around $50-60 per box. 2017 pushes that much higher at 40 cards (with a second autograph) for $110. So you are essentially paying double the price. 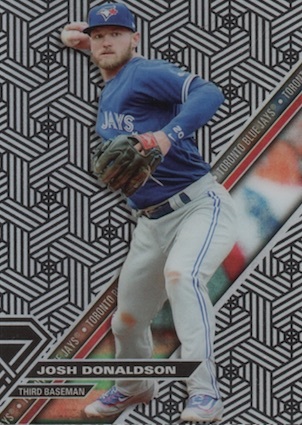 While I appreciate the extra base cards, a second autograph and a stack of patterns does not feel like it's worth twice the price. If value was tough at one autograph for $50, this is twice as true at two autographs for $100+. In prior editions, I felt the fun was capped by a limited format of eight cards in a box. 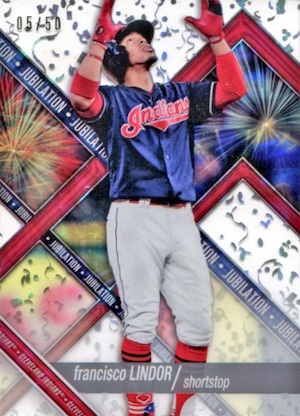 Topps addressed this by increasing the lone pack to 40 cards, which is more like a small blaster in sizing now. Therefore, the fun increased, at least for me. 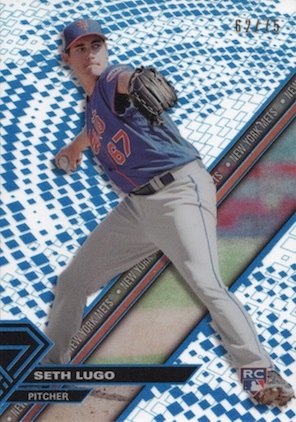 A problem with this is the larger card amount came with a substantial price increase. Of course, this is more a question of value, but in my mind, part of the fun ties into getting fair value. Value is okay here but the fun of the set increases the overall experience. 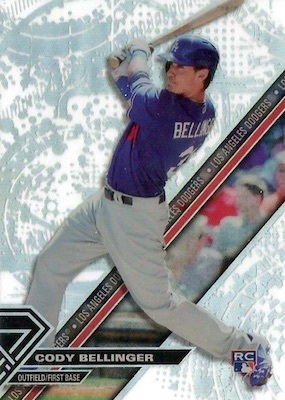 Pulled a Cody Bellinger Parallel Auto Redemption today… how do I know what it’s numbered to or any other details?? Geoff: If it’s the base version, it’s not likely to be numbered. Parallels are numbered as indicated on the checklist. Yeah, that’s weird. 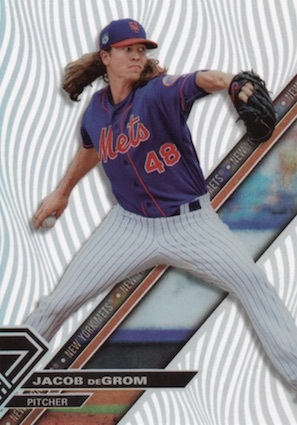 Only Topps can answer that one. Geoff last year the parallel auto wasn’t numbered for the redemption I received. It was just a diffractor auto, shinier with circles. As far as my box, I got six Kyle seager cards, two autos one was a green one was a base, and then for basic patterns in three colors and a base. Highly upset with the box I got, but love the look and set each year. Maybe next week I will try another box and see if things aren’t Kyle Seager centric. Holding off rating it for now. I’ve always been a fan of high tek. This year, 1 box has 40 cards and 2 autos. 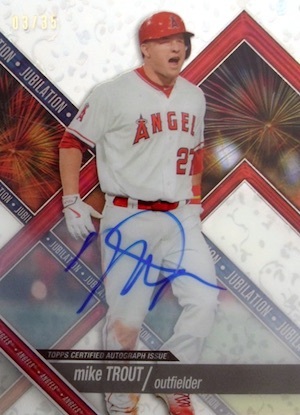 I’ve noticed that the boxes with redemptions have 2 additional live autos which is nice. I got pattern 3 and 4 of Judge (non autos), a Noah auto (redemption) #d to 50, Giolito Green Auto, and Jesse Winker base. With such a thin checklist, it is common to get 3-4 cards of one player in a pack. I got 4 Mookie Betts cards. It is a fun break. But I’d say my box was above average and I still wouldn’t get the $125 back if I sold the singles. favorite product of the year. Just to let you know but the buy now link to ebay is for star wars high tek. My Brother bought me a hobby box for Xmas; red diffractor Jose altuve auto 4/10! Was pleased with my didi grigorius auto as well. 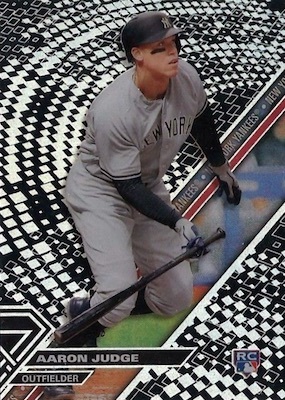 A couple nice numbered cards…Nice cards…just purchased bowman high tek…4 autos..
2017 Topps High Tek Factory Sealed Baseball Hobby Box Aaron Judge RC ?? ?